Can’t figure out why you’re seeing droppings and chewed bags, or paper products? Sounds like you may have a mouse problem! The House Mouse is a rodent. They are very curious, and love to get into mischief. They chew very well, can cause electrical fires, and have adapted to live with humans better than most other species. They contaminate millions of dollars of food, and are constantly gnawing, and they reproduce at alarming rates. Mice can be a nuisance, but they can also spread disease to humans. Probably everyone can remember being annoyed by a mouse at one time or another. Mice do not care if you are rich or poor, they are opportunist, and it only takes a small gap to allow them in your home, or garage. If you are having issues with rodents and mice have one of the specially trained experts at Sunflower Pest Solutions, come out and assess your situation, and provide you with a solution. Sunflower Pest can help! We specialize in getting rid of rodents and can help keep mice away. We can utilize a combination of traps, exclusion, or properly placed rodenticides to alleviate your rodent issue. If you think you have a mouse problem, call Sunflower Pest Solutions Now! Rats are sometimes confused with mice, but their droppings are larger. They also are a rodent, and will chew. Sometimes you may hear them in walls or ceilings. Rats and mice both carry fleas which can transmit disease. 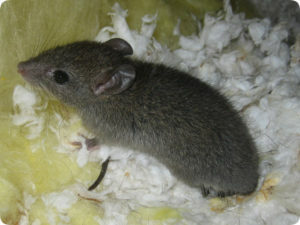 Sunflower Pest Solutions is Kansas City’s Premier Mouse Removal Company. If you suspect you have a mouse problem, call Sunflower Pest Solutions Today!